New Jersey homebuilders obtained permits at their fastest pace since 1988. The gain was mainly confined to multi-family housing. It is catering to millennials, the generation in their 20s and 30s that is gravitating to city living. New Jersey developers during the past three months received the most building permits since the 1980s housing boom, a report released this week said. The surge was led by demand for apartments, mostly in cities. 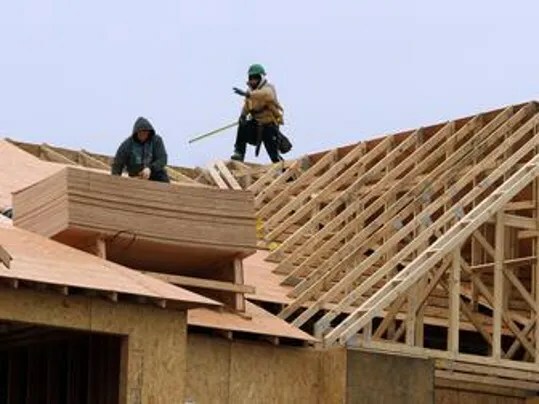 Single-family housing permits declined in May, said Patrick J. O’Keefe, director of economic research for the CohnReznick accounting firm. “What we’re seeing now is a shift in (attitude about) home ownership,” O’Keefe said. The report is the latest sign that New Jersey is making a transition. The millennial generation, unlike their predecessors, is gravitating from the suburbs toward cities, where they can live, work and entertain without hopping in the car. It is helping New Jersey’s economy belatedly catch up with the nation. After grinding to a virtual halt in 2014, the state’s economy is showing signs of life in 2015, according to a string of recent reports. Investors Bank said it originated a record $1.2 billion worth of commercial real estate mortgages in New Jersey, New York and Pennsylvania during the first four months of the year. The majority were for multifamily homes. “We have a solid pipeline of financing deals despite the increased competition from a growing list of lenders,” said Rich Spengler, chief lending officer for the Short Hills-based bank. New Jersey municipalities from January through May approved 12,798 permits, up 19.2 percent than the same time a year ago, O’Keefe said. It was the most since August 1988. The difference? Back then, the permits were evenly divided between single-family homes and multifamily homes. Now, nearly 70 percent are for multifamily homes, O’Keefe said. To baby boomers, home ownership was a bedrock. To millennials, who lived through the housing meltdown, it isn’t, O’Keefe said. “They recognize … and have a strict view that housing is first and foremost about a necessity than an investment,” he said.